Yes! We schedule differently than most dental offices, allowing time to see patients usually within a few hours of your call – if not immediately! You won't be asked to come in and wait for an opening or be rushed through your care just because of a dental emergency. Call us anytime. After hours calls are forwarded to an emergency line where you can leave a message, and one of our doctors will call you back. Of course, if it's a life-threatening emergency, call 911. MFD is a General Practice with multiple dentists providing comprehensive preventative, restorative and Orthodontic dental treatment for the entire family. From pediatric "Happy Visits" where we introduce young children to a dental office environment to advanced complete mouth rehabilitations and everything in between, we have the unique ability to treat a wide variety of dental needs in one convenient location. Please see accepted insurance providers. If you don’t see your provider listed, we can still file with them on your behalf. Generally, this is known as being "out-of-network"- which simply means that your provider will not reimburse us a preset amount, because we have not entered into a contract with them. Your provider will still reimburse for a portion of your treatment, just as they would if you were visiting an "in-network" office. Typically, there is not a significant difference in your responsibility to us whether you are in or out of network. Our staff is well-trained to assist you with any questions you may have regarding your plan’s dental benefit. We work with you to customize a level of sedation to meet your needs. The lightest level of sedation, Nitrous Oxide (commonly known as laughing gas) offers a more relaxed state while you remain awake during your procedure. One advantage of this level of sedation is that you can drive yourself to and from your appointment. Most patients choose moderate oral sedation, where a combination of Nitrous Oxide and medication is used to achieve a deeper level of sedation. Oftentimes, patients tell us that this level of sedation is preferable, because they have little or no memory of their visit. We also offer deep sedation, which is provided by an anesthesiologist here in the office. Who’s eligible for Invisalign Teen? Invisalign Teen treatment is appropriate for patients who have shed all their baby teeth and have second molars at least partially erupted – this includes most teens. Ask your Orthodontist to see if you qualify to start treatment now. How long does Invisalign Teen take? The length of treatment depends on the severity of your case and can only be determined by your doctor; however, the average case takes about 12 months. Yes! In practices worldwide, Invisalign has been effective straightening teeth for teens and adults. Thousands of orthodontists have patients in Invisalign treatment every day. 3-D computer imaging technology maps the complete treatment from start to finish. From this plan, a series of custom-made aligners is produced. You wear each aligner for about two weeks. During this time, the aligners gradually move your teeth until they achieve the desired final position. Has you covered with our affordable dental membership plans! Click on your provider’s icon and log into your account to learn more about your specific coverage. 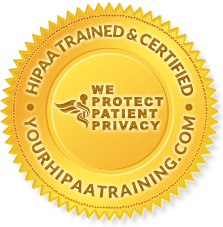 By displaying this Seal of HIPAA Compliance, our practice is signifying to you that every employee who handles your Protected Health Information is trained, tested, and certified in HIPAA compliance. We care about keeping your patient data secure and private, using it only in ways you have specifically permitted, and using it only within the scope of our duties. Whether on paper, on the phone, or online, we are committed to keeping your information safe.